Google is one of the biggest, most successful and most universally known brands in history, which is a pretty impressive feat for a company that only rose to popularity in the last two decades. It should come as no surprise that Google is one of the most relevant brands you’ll have to understand in order to succeed online, especially when it comes to paid and organic search. However, you might not realise the potential benefits to your business from many different services Google has acquired and developed over the years. Here are just a few core services that could really boost your productivity and profits if used wisely. Cheap SEO packages like those offered here at 123 Ranking work best if you really get to grips with how Google Search works. If you want your website to rank locally, nationally or beyond, it needs to satisfy Google’s technical requirements as well as meet its standards for quality. The more you use Google Search, the better you should be able to understand what it looks for and how to take advantage of it. Of course, we’re here to help all our clients when it comes to organic search engine optimisation. Notoriously confusing and constantly evolving, Google+ is a tricky platform to master even for SEO professionals. However, it offers a huge range of benefits that can actively improve your business, to such an extent that you’d be crazy to ignore them. Not only does it function as a social network to share updates with your customers personally, but the real benefits come from information that feeds through into search results. This includes your Google reviews, which may be featured prominently on Maps as well as Search. Make sure you take the time to ensure your reviews are there and saying something positive to differentiate your brand from the rest. Paid advertising can be a great way to help your visibility on search engines even before your organic optimisation has had time to kick in. AdWords is the most widely used platform, and although it can be complex to master, you can get started fairly easily. If you need to generate traffic to your site fast, AdWords can be an incredibly worthwhile investment and the near-instant results are a rare advantage when compared against alternative digital marketing strategies. Once you have traffic coming to your site, it’s time to focus on conversions for most businesses. Whether your goal is to sell a product, get a customer to contact you about a service or just to get some information from visitors, Google Analytics is an invaluable tool that will tell you how to optimise your site for users once you understand its interface. It provides a huge amount of insightful information; you just need to spend some time learning how to interpret the data in a way that’s relevant for your business. Do you use an email client for work which everyone in the business accesses? If you do, and you’re not using Gmail, you may be missing a trick. 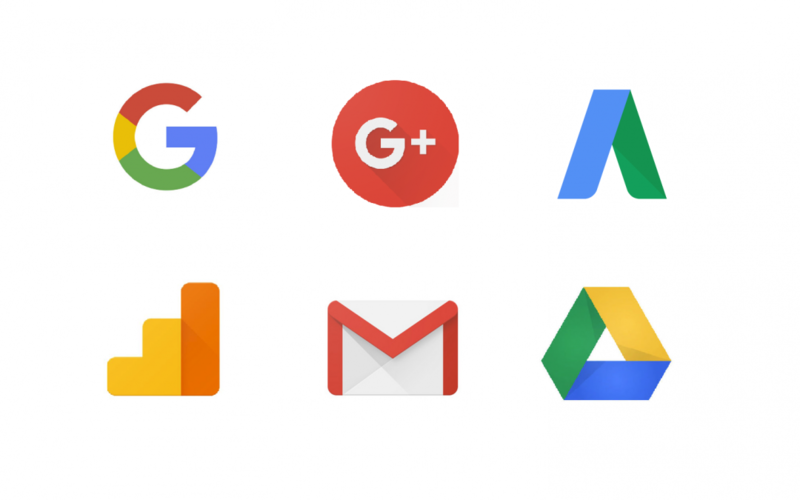 Google offers some reasonably priced options for small businesses looking to smoothly integrate their own email systems with other Google services, which can be a great time-saver. Gmail itself functions perfectly as a straightforward email client, so you probably won’t lose any functionality by switching to it from other systems. Google Drive is a great cloud storage solution for businesses, especially when integrated with Gmail. It makes it very quick and simple to share files and organise folders which can all be accessed by everyone in your team. There are many alternatives out there, but if you’re already using Google and everyone is set up with an account from the beginning, it’s an ideal add-on that many businesses don’t take advantage of. You can even use it to work on documents and spreadsheets simultaneously with colleagues, which can be hugely convenient. There are just a few of the Google services we use on a daily basis at 123 Ranking, and we’d recommend them all to anyone looking to understand Google better or take advantage of their many tools, both free and paid. If you have any questions about Google search services, please don’t hesitate to get in touch with us and we’ll do what we can to help! What Can Google Analytics Do For You? What Does GDPR Compliance Mean for Marketing in the UK? I want to receive marketing emails from 123Ranking. to collect anonymous information such as the number of visitors to the site, and the most popular pages. Google Adwords – to track conversions on the website.